To say that "the question of the EU's long-term survival has frequently been raised"1 is a mild way of phrasing it: Every decade has seen a series of doom-laden prophesies from academics and professionals of every calibre, declaring that the project towards institutional European integration is at the end of its life. "Many expected the dissolution of the EC in the 1970s and there was much guesswork as to who would leave first"2. In the 1980s, academics "warned about the possible disintegration of the EEC and even leading members of EC institutions openly spoke of the dismal state that Europe was in. [In] 1982, the president of the European Parliament compared the Community to a 'feeble cardiac patient whose condition is so poor that he cannot even be disturbed by a birthday party'"3. After that dismal diatribe, the pronouncements continued throughout the 1980s, 1990s and 2000s. In 2005 the veteran politician Jean-Claude Juncker said "the EU is not in crises: it is in deep crisis"4. From 2016, Brexit is said to be the latest cause of the imminent disintegration of the EU5,6 amongst other reasons6. A 2017 book The European Union in Crisis7 states that the death-tolls have been sounded so frequently that many people under-estimate the seriousness of the current crises - which is, yet again, the most serious yet8. The EU is always in crises, just like crime is always getting worse, immigrants more dastardly, the weather deteriorating and employment evaporating9. The EU in its first form (the ECSC) was born in crises, as a result of the crises of WWII and of a long series of consecutive European wars. Since then, in every decade prominent politicians have pronounced that the EU (in its various forms) is facing "it's most serious crises yet". The Suez Crises (1956) and the 'crises' that resulted from the French National Assembly's rejection of the proposed European Defence Community in 1954 both stimulated commentators to declare that European integration was over. The 1970s continued the trend: "Many expected the dissolution of the EC in the 1970s and there was much guesswork as to who would leave first"2. Although that dismal diatribe turned out to be undue, the pronouncements of doom continued throughout the 1980s, 1990s and 2000s. "Jacques Delors, who was president of the European Commission from 1985 to 1994, says that the present "crises" is the worst in the project's history"4. In the late 2000s, the Dutch and French rejection of the proposed EU Constitution was said to be the beginning of the end of the EU. In 2005 Jean-Claude Juncker, prime minister of Luxembourg, which then held the EU presidency, said "the EU is not in crises: it is in deep crisis"4. In 2016, Foreign Affairs reported that "Europe currently finds itself in the throes of its worst political crisis since World War II [and] Euroskeptical movements have attracted widespread support. Hopes for European unity seem to grow dimmer by the day"6. From 2016, Brexit is said to be the latest cause of the imminent disintegration of the EU5. One the latest books pointing out the seriousness of the current crises admits that there have been many false alarms; or rather, there have been many genuine crises that have not resulted in the dissolution of the EU: "it has left many complacent of the real dangers the current crisis poses"8. There is something psychological about the need to give column-inches to the dramatic. There is genuine worry: there is always genuine worry. However valid and mighty the present problems are, all previous crises - similarly declared to be morbid injuries - have not yet resulted in any major demolition of the European project. It is not over until the fat lady sings... but apparently, the EU enjoys the company of many singing fat ladies, and it's time has not come yet! “The EU goes through phases of unpopularity10. At various times in history, the loudest anti-EU voices were communists and mavericks; but from year 2000 it became anti-establishment and popularist right-wing movements that shout loudest about the EU11 (as well as those who pander to xenophobia and anti-globalism). In many developed countries there is a loss of interest in politics12 and very few political systems are seen positively, including the EU13. Part of the reason is that a long period of peace between EU members has made it hard to remember10,14 what it was like when wars, tariff races, travel restrictions and dozens of currencies all damaged quality of life. Without those common enemies, the EU itself has become a scapegoat for many national issues, with politicians using anti-EU rhetoric to hide governmental failures14, and cheap mass-media outlets selling newspapers with ridiculous and ill-informed articles about the EU. Many (knowing even less about the EU than they do about their own governments) are taken in by such claims. It is very common for us to allow our egos to convince us that now, around us, are unfolding changes which are more important than those of any other time. We think that we are witness to the ultimate decline of Human society and that brooding and significant upset awaits on the horizon. People's own areas of interest are always the highlight of the crises of the present time - for example the children's worker and chaplain Johann Christoph Arnold in "Their Name Is Today: Reclaiming Childhood in a Hostile World"16 says that "Teaching has probably never been as difficult as it is now. [...] We live in difficult times and many people have lost their joy in life. [We witness many] gloomy statistics and dire warnings for the future of our society and its children"17. It seems to be a universal, negative human apprehension that we think we have noticed this coming catastrophe even while many others carry on regardless. For more on this, see: "The Importance of Current Events is Amplified by our Egos" by Vexen Crabtree (2005). Popular culture is worse than it ever has been. The education system is following it into disordered inadequacy. Unemployment is undermining society and perhaps as a result, crime rates are getting scary. Immigration is out of control. It is going to be like the fall of the Roman Empire, with weak government no longer in touch with the lives of the citizenry. The European Union is on the verge of collapse, and, the Internet era is eroding our ability to form friendships. Youths are not being brought up properly - computer games and the TV are increasingly violent and graphic: films are now nearly all shallow and simple. Social commentator Daniel Goleman warns we now face a "collective emotional crisis" resulting in worsening social dysfunction22. Global warming and the global economy have created insurmountable problems. All of us, in our lives, are going to face chaos and witness the mass failure of morality and decency. The young no longer respect the old. Jobs and marriages are no longer for life. Did I mention the crime rates? This, with a few variant details, is what they will think in the 2020s, because they also thought it in the 2010s and 2000s. The 1980s was a decade obsessed with the rising power of computers - they'd turn against us soon, for sure. And recessions were seemingly endless - the anarchists were winning. But perhaps they were right in the 1960s where they warned that mass immorality and liberality would destroy civilisation - if we survived nuclear war, that is. Still further back, those same feelings were echoed in the Industrial revolution, at the end of the era of Empires and at the foundation of global shipping which heralded unheard-of immigration and globalisation (hundreds of years ago). As mankind moved into cities, or into towns, the outcry against the changes in morality and customs was as loud as it was paranoid. In the 1st century CE, the Roman philosopher Seneca reassured us that the vices of mankind, including "contempt for morality... are the defects of humankind, not of the times. No era has ever been free from blame" and that "everyone reproves his own age"23. 2,000 years later, and we're still at it! However do we survive? Luckily for us, it seems that the more people predict chaos, uncertainty, cataclysms and the end of the world as we know it, the less likely it is to actually happen. Crime rates are falling, large scale wars have apparently ceased to occur, worldwide extreme poverty is decreasing24,25, literacy has been rising for hundreds of years, and technology and medical science are making astounding strides in preventing diseases (many of which are now gone for good). Jobs and marriages may not be for life, but we are living twice as long. Absolutely nothing is as bad as people say. The press thrive on bad news. Our egos trick us into thinking we are living in the most important times during our own lives. We're not. Those times are yet to come. The end is yet to come. Just remember to take a leaf from the British: Keep Calm, and Drink Tea. Foreign Affairs magazine. Published by The Council on Foreign Relations, Inc. Their website states that "since its founding in 1922, Foreign Affairs has been the leading forum for serious discussion of American foreign policy and global affairs". (2005) A Short History of Myth: Volume 1-4. 2008 Kindle edition. First published in Great Britain in 2005 by Canongate Books Ltd.
(2014) Their Name Is Today: Reclaiming Childhood in a Hostile World. Published by Plough Publishing House, New York, USA. This book is "based on Arnold's acclaimed book Endangered: Your Child in a Hostile World (2000)". A paperback book. Book Review. (2016) The European Union: A Citizen's Guide. Published by Pelican. An e-book. (2006) Origins and Evolution of the European Union. Published by Oxford University Press, Oxford, UK. Dinan, Nugent & Paterson. By Desmond Dinan, Neill Nugent and William E. Paterson. (2017) The European Union in Crisis. Published by Palgrave. Furedi, Frank. Professor of sociology at the University of Kent, UK. (2002) Paranoid Parenting: Why ignoring the experts may be best for your child. Published by Chicago Review Press, Chicago, USA. This edition is "substantially different" from the 2001 UK version. A paperback book. (2016 Sep/Oct) The Return of Europe's Nation-States: The Upside to the EU´s Crisis. Date last accessed 2018 Jan 04. An Article in the magazine Foreign Affairs. 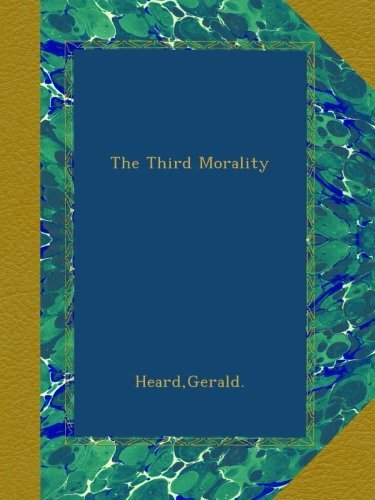 (1937) The Third Morality. Published by Cassell and Company Ltd, London, UK. A hardback book. (2003) European Union Law. 3rd edition. Published by Lexis Nexis, UK. Margot Horspool is professor of European and Comparative Law at the University of Surrey; Fellow of the Centre for the Law of the European Union, University College London and professor at the College of Europe. Global Trends 2005. Published by Palgrave Books. A paperback book. (2008) Sexuality: A Very Short Introduction. Published by Oxford University Press, Oxford, UK. (2016 Jul 01) Shades of grey: is Brexit going to lead to European disintegration?. Date last accessed 2018 Jan 04. Published on the blog of The London School of Economics and Political Science. 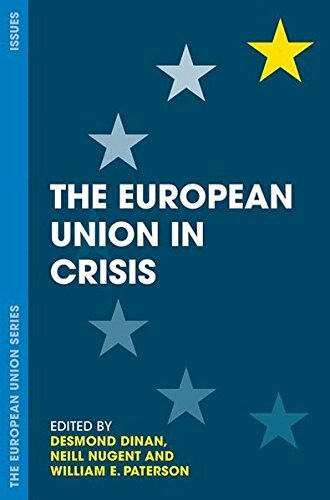 (2017 Sep 07) Book Review: The European Union in Crisis. Date last accessed 2018 Jan 04. Published by the blog of The London School of Economics and Political Science. (2017 Jun 15) Post-Brexit, Europeans More Favorable Toward EU. Date last accessed 2018 Apr 21. Research based on a survey of 9935 respondents. The 10 countries surveyed represent approx. 80% of the EU population.